Voted one of Atlanta’s Top Doctors of 2017, Marlo Carter, MD, is focused on ensuring the physical and emotional well-being of her patients. She believes that conversation and education are critical parts of providing comprehensive health care. Today, Dr. Carter is proud to offer her services to patients of all ages in the Fayetteville, Georgia, area. Dr. Carter attended medical school at Mercer University in Macon. During her tenure at Mercer University, Dr. Carter developed a keen interest in women’s health. She went on to train in obstetrics and gynecology at Emory University in Atlanta, where she received awards for her accomplishments in the field of surgery. Dr. Carter provides gynecological care to women at every stage of life. Her areas of interest include adolescent gynecology, family planning, and preventive medicine. She also offers prenatal care to both low-risk and high-risk pregnant patients. By educating her patients on the newest medical innovations, Dr. Carter encourages women to take part in their own health care. She takes pride in providing her patients with the guidance they need to make informed medical decisions. When she isn't assisting patients, Dr. Carter enjoys spending time with her family and friends. She’s an avid reader and enjoys running, shopping, and traveling. 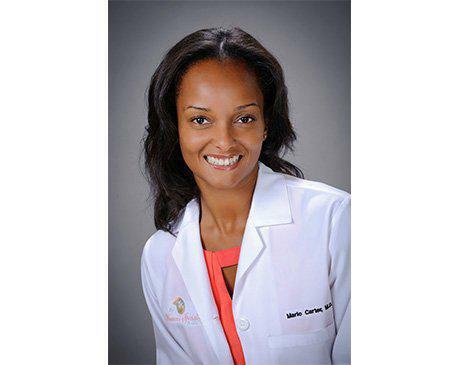 Dr. Carter is also an active member of a local charity organization, and she enjoys giving back to her community.